Vinyl - Manufactured from PVC (polyvinyl chloride), vinyl siding claims the largest portion of the residential siding market. This is due to its two primary advantages: vinyl is a very affordable siding material, and it requires almost no maintenance. Because vinyl does not rot like wood, it does not need to be stained or painted. An impressive array of colors, styles and textures makes vinyl siding suitable for nearly every home design, from contemporary to historical. Aluminum - Aluminum siding is a sturdy alternative to vinyl. Like vinyl, it’s easy to maintain and durable. 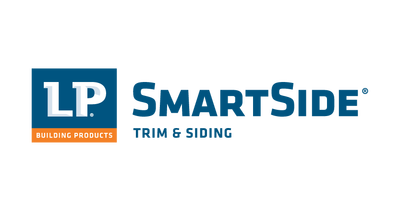 LP Smart Side - A better alternative to cement board. Get the updated look you want at a price that you can afford! Let SMET & Son help you choose the best siding material for your needs, they provide fast and professional installation. ​We’d be pleased to schedule a convenient time to meet with you.